INSTANT / JUST ADD WATER! Bali Nutra’s Coconut Milk Powder is an alternative to regular dairy creamer. Made from 100% coconut. Tastes like creamy smooth coconut milk when you add hot water. 1. 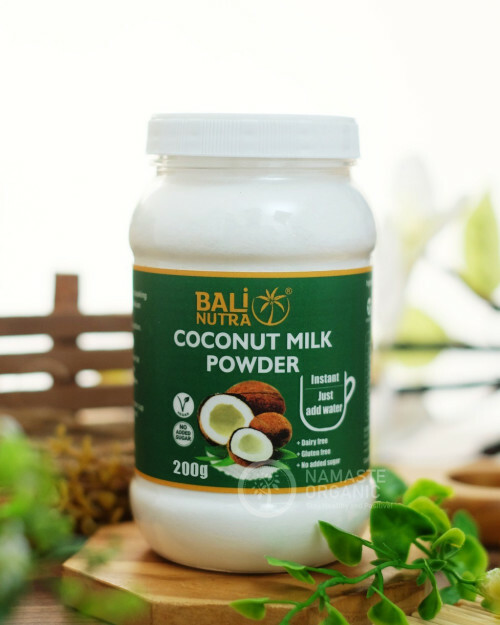 Put a few teaspoons of coconut milk powder in a cup. 2. Add hot water and stir until dissolved. How to store: In a cool dry area, away from direct sunlight.